If you’re a regular reader of my blog (and also Flowerona), then you’ll know that we’ve featured the RHS Chelsea Flower Show a lot over the past week or so! 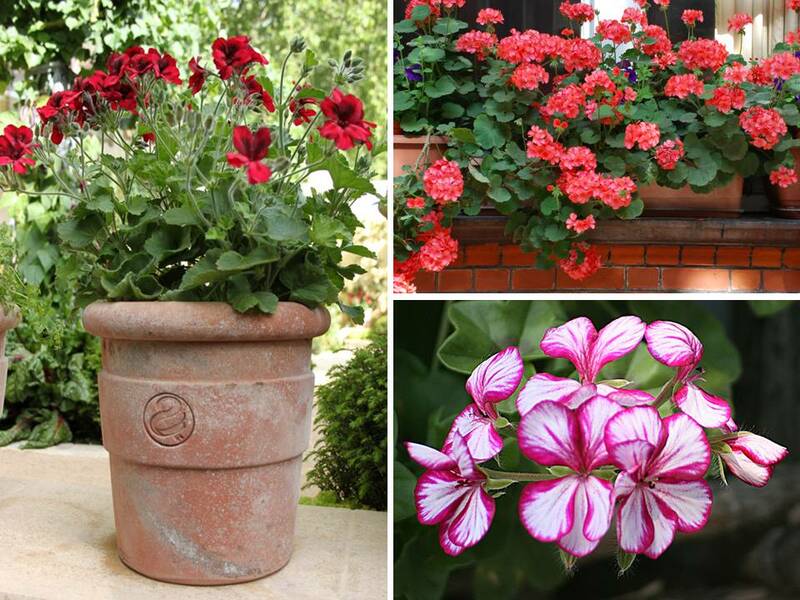 Inspired by some examples we saw at the show and on our journey to and from it, our June ‘Flowers In Pots’ post features bedding geraniums – a brilliant plant that will bring an instant burst of colour to your patio or terrace all summer. Not to be confused with their perennial cousins which reappear each year, bedding geraniums are annuals and will only last for one summer season. They can be planted in pots or alternatively can also be used to fill any gaps that you have in your flowerbeds. As they are tender to frost (not hardy), now is the perfect time to plant them out in the garden. They will flower for the whole summer and (weather permitting) last well into the autumn. So, although you’ll need to replace them each year, the value they’ll bring to your garden will be well worth the effort of potting them up. There are many different varieties of geranium, almost one in every colour possibly imaginable, but the most common ones are pink or red. There are upright and trailing varieties too – the pot on the left of the picture above features an upright variety which gives a more formal look. The trailing forms on the right are great for window boxes and large pots as they spill over the edge to create something much more informal. If you’re going for a big burst of mixed colours, you can combine the geraniums with other annuals but if you want a more sophisticated look, try planting groups of the same variety in one pot, as above. Grouping pots of different sizes will bring some added dimension to your patio or terrace and look less contrived. Think about the overall size of the area and try to choose pots that will be in balance with the overall space. If you have a large area, for example, smaller pots will get lost, so use them in groups alongside a larger pot so that they will enhance the whole look.